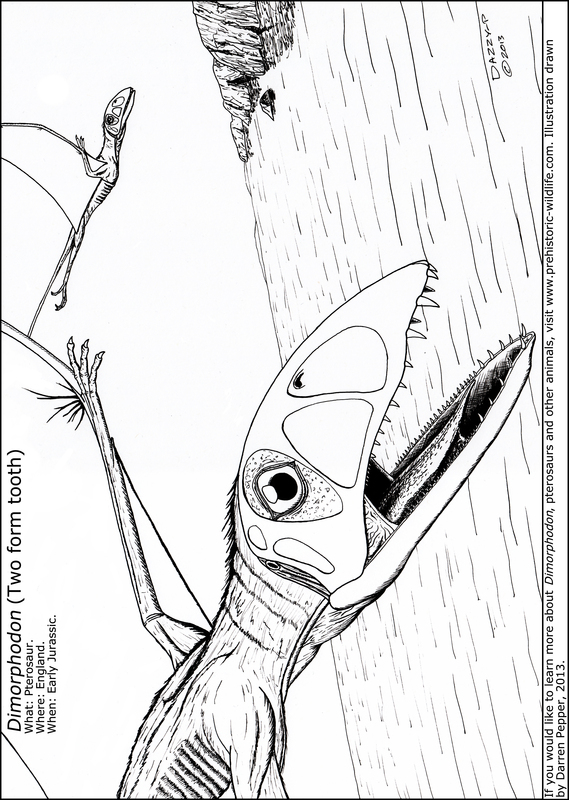 Name: Dimorphodon ‭(‬Two form tooth‭). 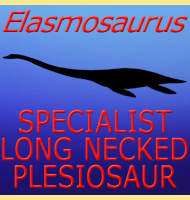 Named By: Richard Owen‭ ‬-‭ ‬1859. 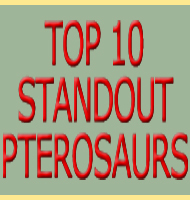 Classification: Chordata,‭ ‬Reptilia,‭ ‬Pterosauria,‭ ‬Dimorphodontidae,‭ ‬Dimorphodontinae. Species: D.‭ ‬macronyx‭ (‬type‭)‬,‭ ‬D.‭ ‬weintraubi. Size: 1.4‭ ‬meter wingspan,‭ ‬1‭ ‬meter long including the tail. Known locations: England,‭ ‬Dorset‭ ‬-‭ ‬Jurassic Coast. 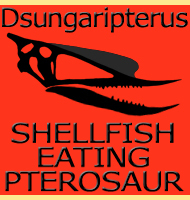 Time period: Hattengian to Sinemurian of the Jurassic. Fossil representation: Two individual specimens that have the skull,‭ ‬plus also other sets of partial and usually fragmentary remains. 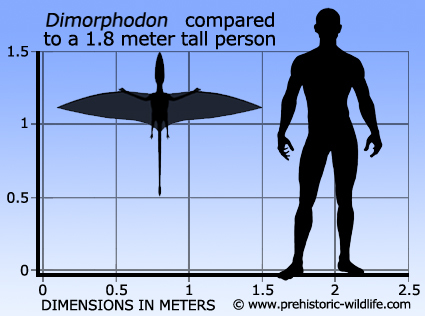 The first Dimorphodon remains were discovered in‭ ‬1828‭ ‬by the famous fossil collector Mary Anning.‭ ‬Mary Anning was one of the first women to become actively involved in palaeontology and aside from discovering Dimorphodon,‭ ‬she made significant discoveries relating to marine reptiles such as ichthyosaurs and plesiosaurs. 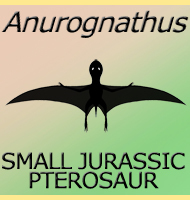 The first specimen of Dimorphodon was lacking its skull,‭ ‬and was assigned to Pterodactylus as so much other poorly preserved material was.‭ ‬Although the fossil material at the time was attributed to Pterodactylus another pterosaur specimen that would later be named Dorygnathus was noted as having similarities to the material.‭ ‬It would not be until‭ ‬1858‭ ‬when Richard Owen described two specimens that did have the skulls that the obvious difference between the long narrow beak of Pterodactylus,‭ ‬and the short deep beak of Dimorphodon was realised.‭ ‬The new genus of Dimorphodon was made official in a subsequent paper published in‭ ‬1859. 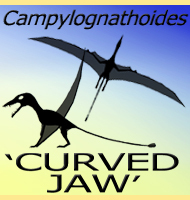 The most striking features of Dimorphodon are the aforementioned jaws that are considerably deeper in height than many other pterosaurs.‭ ‬This gives Dimorphodon a head that resembles that of a Puffin or short billed Toucan,‭ ‬and has brought the suggestion that it may have been brightly coloured for the purpose of display.‭ ‬While no direct evidence exists for a brightly coloured head,‭ ‬there is no good evidence to suggest that it was a dull monotone colour or pattern either.‭ ‬Although the skull looks oversized it was actually very light because of the presence of large fenestra that considerably reduced the amount of solid material required to make the shape.‭ ‬This means that while larger,‭ ‬the head of Dimorphodon was no more cumbersome than a much smaller yet solid skull. 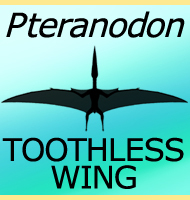 The specific name of Dimorphodon‭ (‬Two form tooth‭) ‬is in‭ ‬reference to the fact that there are two sets of teeth that appear to be adapted for different uses.‭ ‬The teeth in the upper jaw are long,‭ ‬sharp and narrow,‭ ‬larger towards the front and reducing in size towards the back of the mouth,‭ ‬and were presumably so for the purpose of prey capture.‭ ‬The teeth in the lower jaw were considerably smaller but more numerous and may have been so for a better grip upon prey during flight. 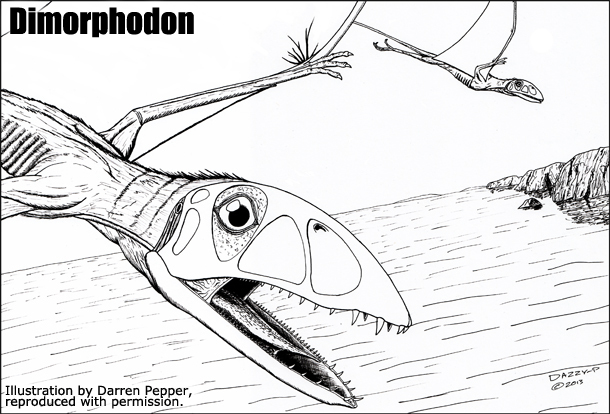 Although the skull was high,‭ ‬Dimorphodon is thought to wave had quite a weak bite force,‭ ‬although it could have had a fast jaw motion,‭ ‬easily being able to trap fast prey by its jaws snapping shut before prey could escape.‭ ‬This along with the dentition has brought the suggestion Dimorphodon was better adapted as an insectivore as opposed to the fish eating piscivore lifestyle.‭ ‬The fact that Dimorphodon remains have come from what are thought to have been coastal areas may in fact be misleading to its lifestyle as coasts today have birds of all different kinds flying around,‭ ‬yet only a few will actually venture out to sea for fish. 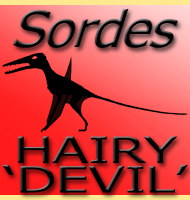 - On the discovery of a new species of Pterodactyle in the Lias at Lyme Regis. - W. Buckland - 1835. 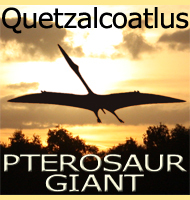 - On a new genus (Dimorphodon) of pterodactyle, with remarks on the geological distribution of flying reptiles. - Richard Owen - 1859. 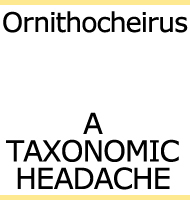 - Osteology and functional morphology of Dimorphodon macronyx (Buckland) (Pterosauria: Rhamphorhynchoidea) based on new material in the Yale Peabody Museum - Kevin Padian - 1983. 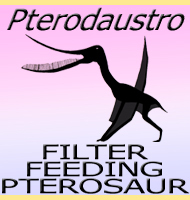 - Foot posture in a primitive pterosaur. J. M. Clark, J. A. Hopson, R. R. Hern�ndez, D. E. Fastovsky & M. Montellano - 1998. 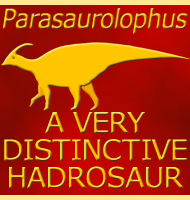 - Anatomy, functional morphology and systematics of Dimorphodon. - S. Sangster - 2001. 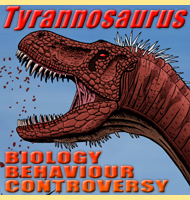 - Feeding-related characters in basal pterosaurs: implications for jaw mechanism, dental function and diet. - A. Osi - 2010.